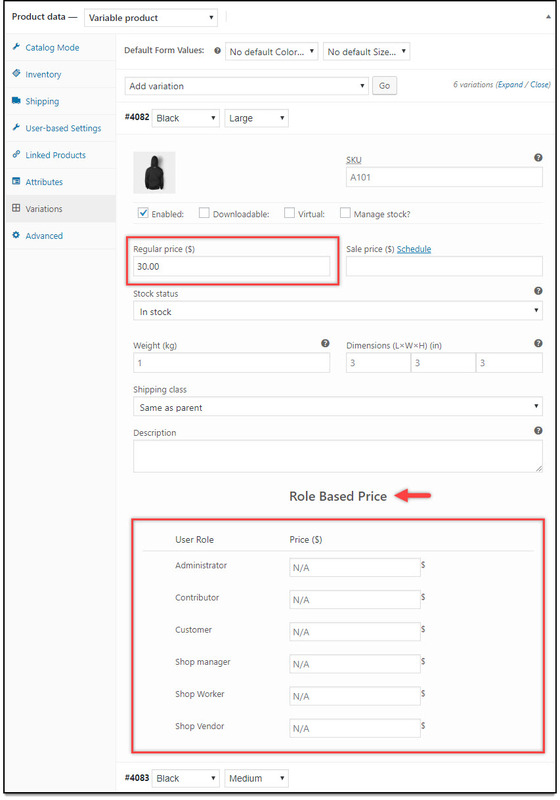 ELEX WooCommerce Catalog Mode, Wholesale & Role Based Pricing plugin (Previously known as XAdapter Prices By User Role) is an ideal solution for enabling catalog mode, setting up wholesale pricing and role-based pricing for the products listed on your WooCommerce store. This plugin brings lots of flexibility with various customization options. The plugin supports Simple, Variable and Grouped products. Turn your WooCommerce store into a Product catalog in simple steps. The catalog mode will be applied across the website, regardless of any user roles. This feature will be helpful when you have products that require inquiry and quotations from the customers, are revising product prices, updating your stocks, or are running into maintenance issues, therefore, depriving your site of losing traffic or potential customers. Remove Add to Cart button and Replace with a HTML Placeholder text. 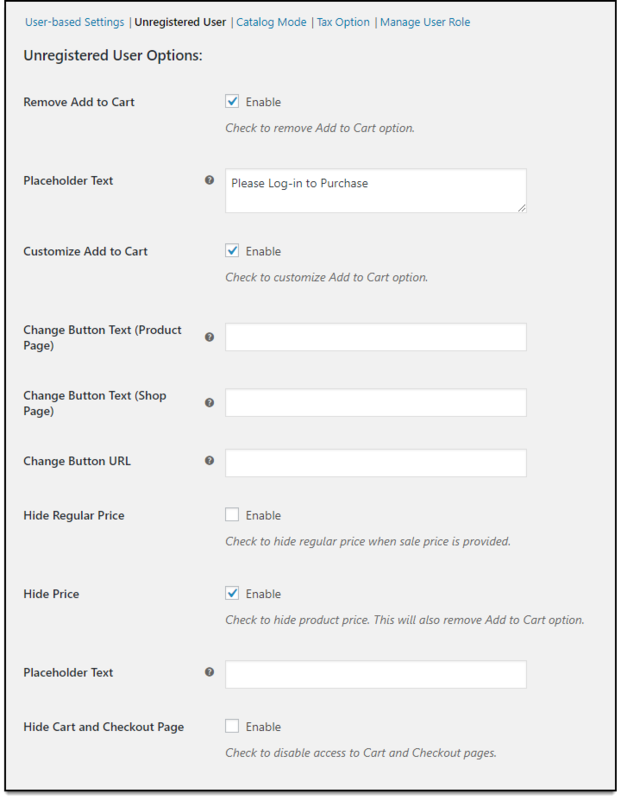 Customize the Add to Cart button by changing to Custom text and Redirecting to a desired page. Hide Product prices from the store. Hide Cart and Checkout Pages. Exclude Administrator from the Catalog mode. Your business may involve different dynamics. Create different pricing strategies for various types of users like retailers and wholesale buyers, involving several premia and loyal customers of your store. You can select existing WordPress user roles, or create custom ones. You can also offer custom offers and discounts to your loyal customers. Remove Add to Cart button based on User-roles and Replace with HTML text. You can set individual product prices based on User-roles. 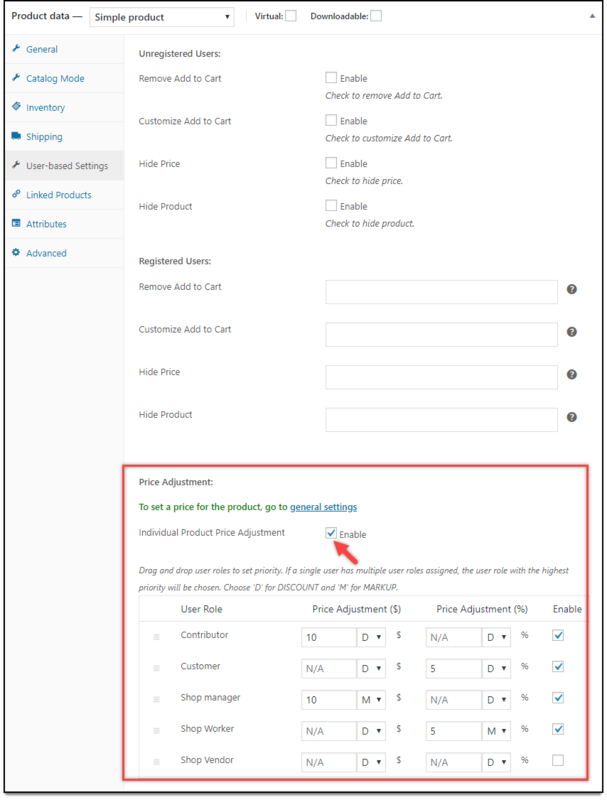 You can simply select desired user roles in the plugin settings, and set a custom product prices in the Product data meta-box settings. The plugin takes one step further in role-based pricing by offering Role-based Pricing for individual variations of a variable product. For example, if you have a variable product with three variations, you can set role-based pricing for each individual variation. Set up price adjustments to offer Discounts or to apply Markup on individual product prices, based on user roles. This price adjustment is possible for Simple, Variable, and Grouped products. You can apply amount value or percentage value for Discounts and Markup, for Price Adjustments. Instead of applying price adjustments on individual products, you can apply to all products based on user roles. You can apply the Flat amount value or Percentage value for Discounts and Markup. The price adjustments can be applied on only Sale price or both Regular price & Sales Price. You can also select Product Categories for Price Adjustments consequently. You can configure and save the settings, and choose to enable desired price adjustments as required. 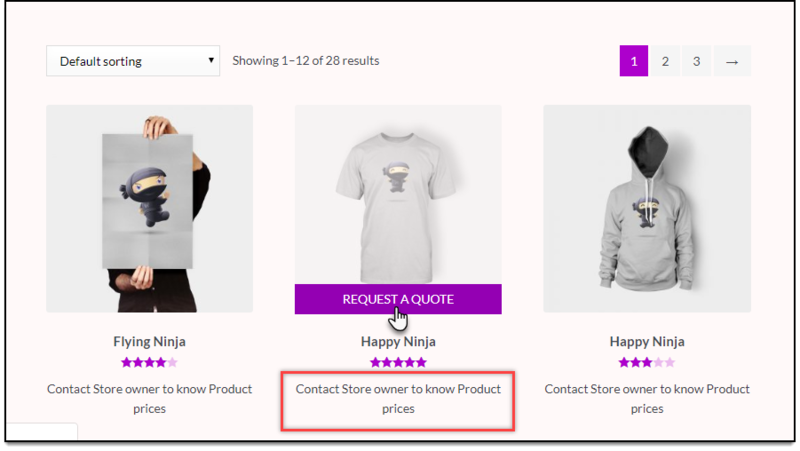 With WooCommerce Request a Quote feature, you can customize your Add to Cart button by changing button text (like 'Request a Quote', 'Price Inquiry', etc), redirected your customers to a custom page. This type of functionality is ideal if you are offering custom services or selling products that do not have fixed prices. Set a Generic suffix text for all the products, or set a custom text based on User Roles. This suffix text will be helpful if you want to add custom text for specific products. For example, you can add text for products on discounts, clearance sale, and so on. Remove Add to Cart button for Unregistrered/Guest users, and replace it with HTML text. The plugin supports Simple, Variable, and Grouped products. 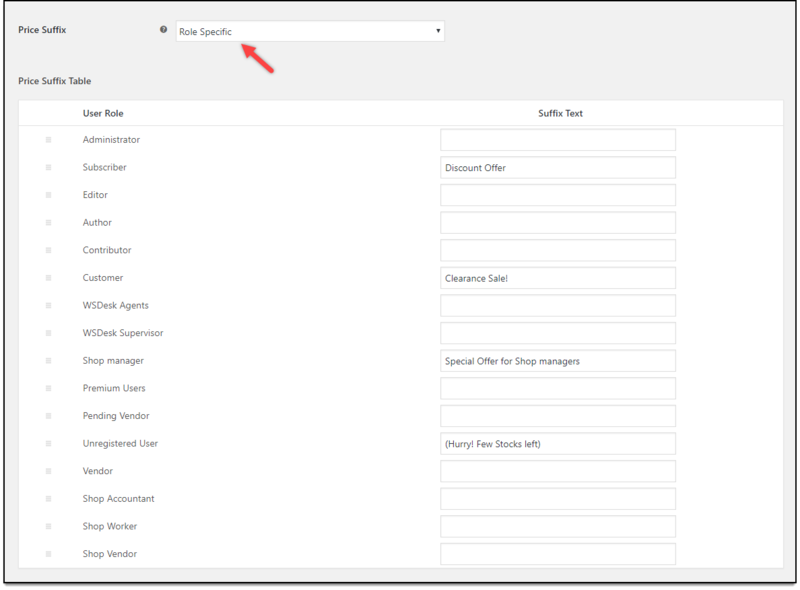 You can assign the desired Tax class and Tax display options for based on User Roles. You can Show Price Excluding / Including Tax for Particular user roles, Show Price Including Tax only on Checkout Page, and so on. If the existing user roles don’t match your requirement, the plugin provides intuitive steps to create custom user roles. Our ELEX WooCommerce Catalog Mode, Wholesale & Role Based Pricing plugin offers a comprehensive solution to offer dynamic pricing to different user roles. Like, you can provide discounted rates to wholesale customers, and regular prices to retail customers. Sellers will be able to provide discounts or markups, at the product or global level, based on user role. Not just that, you can remove Add to Cart button or hide product prices for unregistered users and defined user roles, to turn your store into catalog mode. You can replace Add to Cart button with a custom button on product page and shop page as well. If you wish to redirect your customers to an external site for specific products, you can set a custom URL for product button on the shop page. In addition to this, you can offer role-based tax options as well. 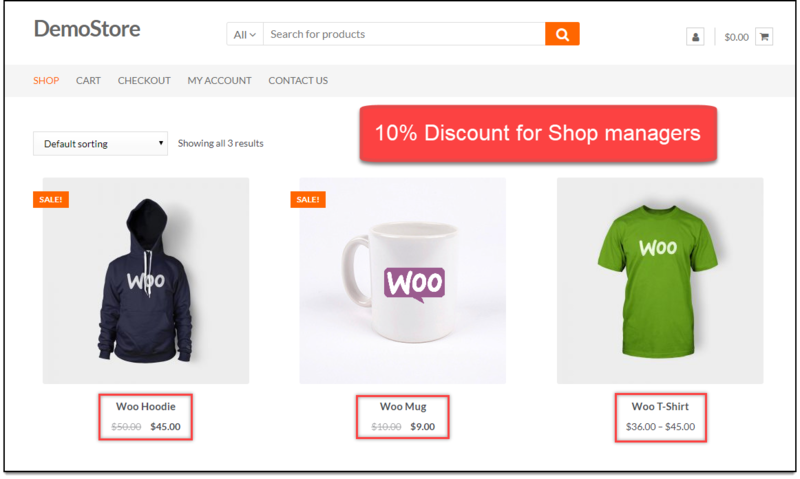 Indeed, this is an ideal WordPress extension for achieving WooCommerce catalog mode, WooCommerce wholesale pricing and WooCommerce role-based pricing for your store. Here are a few use cases which can be easily solved using this plugin. Setup different prices for simple products and each variation of variable products based on user roles. Replace Add to Cart button with a custom button for guest users and desired user roles. Hide product prices for guest users as well as desired user roles. Turn your WooCommerce store into catalog mode for all users and desired users as well. 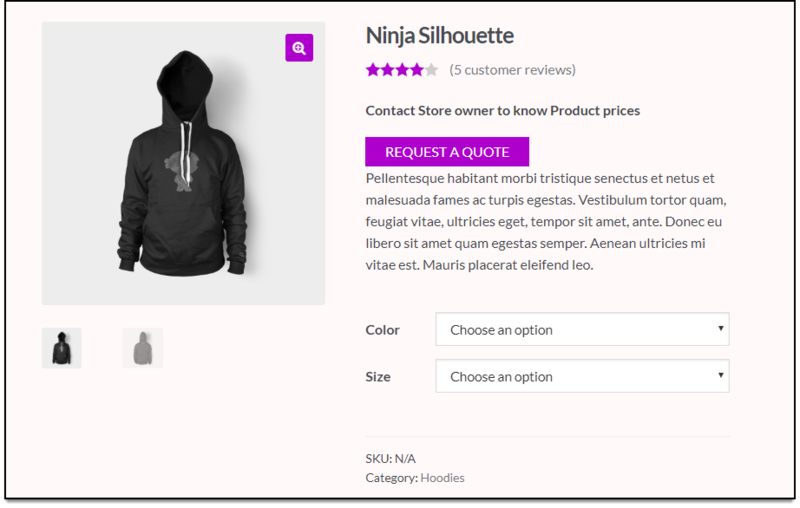 For WooCommerce catalog mode, display custom text when Add to Cart button or/and product price is hidden. Redirect product page to third-party or affiliate sites, by assigning a custom URL for products on the shop page. For WooCommerce role-based pricing, setup overall, as well as role-based price adjustments. Configure role-based pricing in terms of amount or percentage value. Price adjustments can be configured on top of regular price or role-based price. Adjust price based on product categories, for each user role. 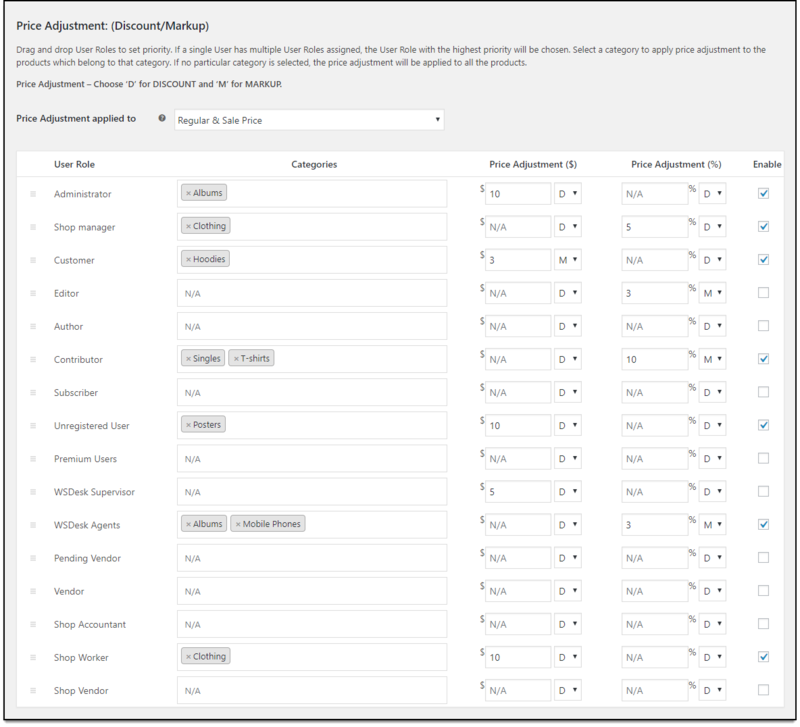 Assign tax classes and tax display options based on user roles. Create custom user roles. The created user role(s) will be limited to the plugin. Setup Role-based price adjustment on individual products. Price adjustments on top of regular price or role-based price. Override global price adjustment with individual product level price adjustment. Supports both Markups and Discounts. Add custom user roles like “retailer”, “wholesaler”, etc. Setup Wholesale Prices based on user role. Flexibility to remove Tax for the desired user roles. 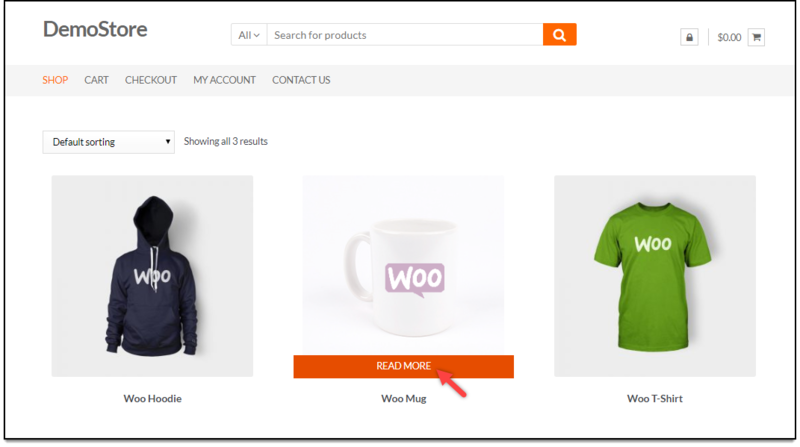 Turn your WooCommerce site to Catalog Mode. This plugin was instrumental in allowing us to produce a flexible multi-level pricing system for our customers. We had tried multiple wholesale plugins prior to using this solution but their product is by far the most comprehensive and full featured solution. The ability to control role pricing store wide by percentage discount, markups or fixed pricing levels at a product level can fit even the most demanding store requirements. This coupled with enhanced tax rules for store and cart in addition to custom price suffix really sets this product apart from the rest. Fast, responsive, powerful. Highly recommended. Not only is this an excellent product, the support team is fantastic. They are incredibly helpful and open to implementing end-user suggestions to future releases of their products. We have utilized several plugins from their product range and are very much looking forward to using more of their software in the future. ***** on the support team and so far the product. Very quick and insightful. Very good support. They do changes on the plugin that I asked for free and in time. Ran into an issue and had a response very quickly. Friendly and eager to help. Super pleased with this kind of support and look forward to incorporating other products in future work.Pat on the back for the whole team with my thanks! Can I add a different price for some User Roles? 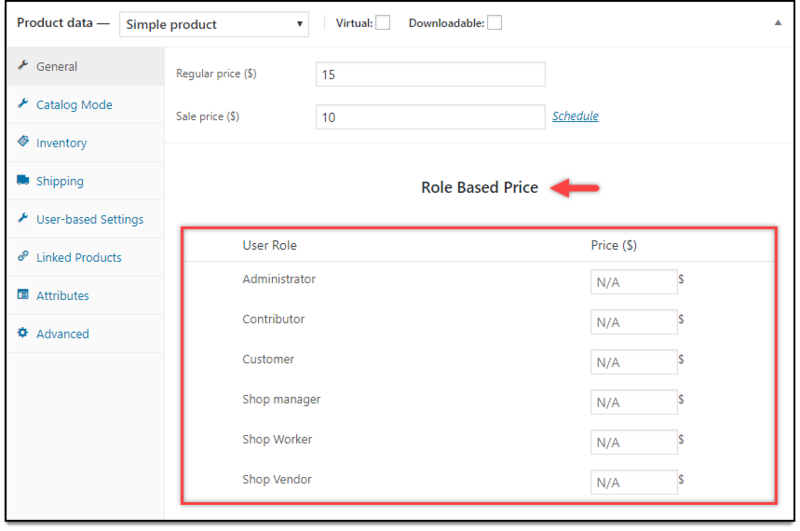 Yes, you can select the user roles you want to assign individual prices to the product in the plugin settings. You can then go to edit product settings and you’ll get an option to enter a different price for the user roles. Can I hide prices for a certain category for some user roles? You can hide price per product for the user roles, but we do not have per-category option. Can I add/remove a user role using this plugin? Yes, you can add new User Roles and remove the User Roles. But we don’t advice removing the default user roles such as admin, shop manager etc. Can I hide/show tax based on User Roles using the plugin? Yes, you can hide/show tax based on the user role, or you can exclude tax for certain user roles as well. 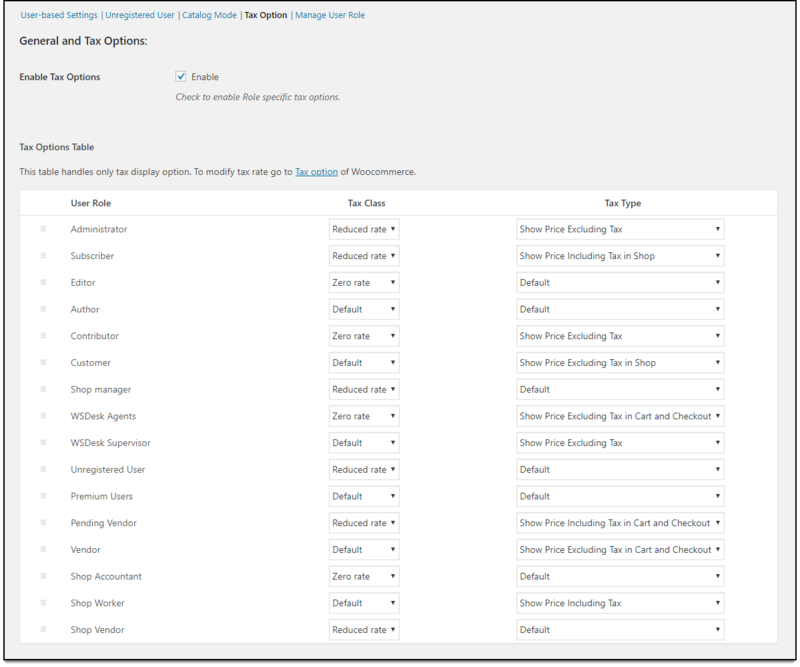 You need to define a zero tax class and assign that tax class to the user role in the Tax option settings in the plugin. Can I hide price for the guest users and redirect them to the login or sign up page? Yes, this option is available in the plugin settings. We have a separate tab created for unregistered users. Here, you can customize the add to cart button, change text and redirect them to the sign up/register page. The support team is wonderful and very quick!! Great plugin! One thing was not working good with a other plugin, but the devolepers from Xadapter fixed it! Great support! As always, very quick response, great customer service! Amazing plugin. More power to you guys! I have the paid version of the plugin and the plugin works well and support when needed has been great! Shout out to Lorenzo at support for his assistance. Thanks! I must say that this is the worst plugin that I have ever purchased! For starters, I can’t even add the product key into woocommerce so that I can use the pro version that I paid for! For $60, it should be simple! I am not happy with this company, and I am not happy with the lack of customer service that I received! I am pissed!!!!! I want my money back!!!!!!! Ran into an issue and had a response very quickly. Friendly and eager to help. Super pleased with this kind of support and look forward to incorporating other products in future work. Pat on the back for the whole team with my thanks! Please let me start by saying that my star rating does not have to do with the plug-in itself, the plug-in is well written as of today but the developer fails to notify buyers that the plug-in now requires a yearly licensing fee. This is fine as long as it is fully disclosed, which as of today it is not. As a result we were unable to advice our clients of the necessary budget additions and are now in a position where WE have to pay for their mistake and purchase licenses for everyone we recommended it to for one more year because unlike the developer who is unwilling to rectify their mistake we DO care about fully disclosing costs with our customers. Furthermore, the license was simply deleted and the plug-in was rendered invalid without notice, we did not received a notification email or warning and when contacting customer support Lorenzo simply said that it was a “mistake” that licensing was not fully disclosed on product page, shopping cart, or receipt. You are not buying a perpetual license you are buying a membership. Great customer service! Quick response! Excellent Plugin! More power to you guys! Perfect plugin, great support. very quick! Excellent plugin which does what they say! Had a few issues with setting up the plugin to work properly in my store. The support team respond very quickly and do offer excellent support by fixing bugs immediately!! I very much recommend this plugin! Found some bugs at first but the support team fixed them all very fast. Had some issues with some bugs, their support fixed it ASAP! Great plugin with enormous scope and very fast support. Well done! This plugin is going to help me immensly with my growing busines and customer diversity. It is relativley staight forward to configure. At one point it was conflicting with another module casuing some incorrect results. With a day or 2 of contacting Xadapter support they had the problem reesolved for me. As of right now I would highly recommed the product. Xadapter keep up the good work. This plugin was instrumental in allowing us to produce a flexible multi level pricing system for our customers. We had tried multiple wholesale plugins prior to using the solution from XAdapter / ExtensionHawk but their product is by far the most comprehensive and full featured solution. The ability to control role pricing store wide by percentage discount, markups or fixed pricing levels at a product level can fit even the most demanding store requirements. This coupled with enhanced tax rules for store and cart in addition to custom price suffix really sets this product apart from the rest. Fast, responsive, powerful. Highly recommended. Not only is this an excellent product, the support from the XAdapter team is fantastic. They are incredibly helpful and open to implementing end-user suggestions to future releases of their products. We have utilized several plugins from the XAdapter product range and are very much looking forward to using more of their software in the future.